Dissecting The Digital Dollar is a series of reports, guides and tools produced by CMU Insights for the UK’s Music Managers Forum designed to help artists and managers better understand the streaming business, and the impact the shift to streaming has had on the wider recorded music industry. This work was compiled into the ‘Digital Dollar’ book in January 2018 which YOU CAN ORDER HERE. 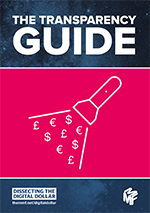 There is also a series of free ‘Digital Dollar’ guides – covering topics like record deals in the streaming age and digital transparency – which you access below. You can also access a concise ten step guide to how streaming services are licensed by the music industry based on this reseach BY CLICKING HERE. The growth of music streaming has dramatically changed the business of recorded music. 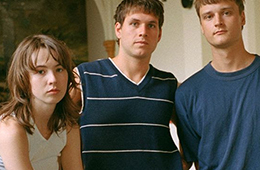 Instead of sharing in the proceeds of a physical or digital sale, music makers and rights holders are now participating in new commercial models based on revenue share and micro-payments. ‘Dissecting The Digital Dollar’ explains how the streaming business works, how the music industry has licensed the digital platforms and how digital royalties ow through the system. To help you understand this complex licensing model, it also provides a beginner’s guide to music copright, record and publishing contracts, and the collective licensing system. When first published as a report by the UK’s Music Mangers Forum in 2015, ‘Dissecting The Digital Dollar’ also raised a number of issues which were subsequently discussed at a series of roundtables in 2016 involving artists, songwriters, labels, publishers, lawyers, accountants and managers. This Second Edition includes an updated version of the original report, a summary of the roundtable discussions, and two new guides providing further insight on label deals and the transparency debate. “Thank you and well done to the MMF and CMU Insights for publishing these must read guides for managers and artists, and their business advisers. Their desire for transparency in the digital era sits alongside my desire for a simplification of industry contracts. True partnerships call for both, so as to engender trust and to enable the financial health of the creative community. 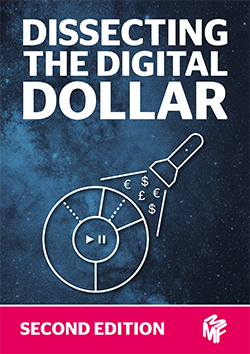 “‘Dissecting The Digital Dollar’ is so much more than a beginners guide – it goes deep into the intricacies of digital music, rights and revenues, and is an indispensable guide to the music industry in the streaming era”. “‘Dissecting The Digital Dollar’ is a must-read publication. It enlightens you on the complexities and the challenges of digital licensing. Everyone working – or wanting to work – in our beloved music industry should know it by heart”. “As an artist manager, ‘Dissecting The Digital Dollar’ has given me a much better understanding of the complexities and inherent unfairness in much of the digital streaming business, particularly as it impacts upon songwriters and their royalties”. 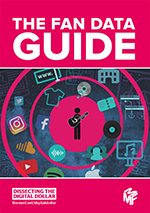 In addition to the main ‘Digital Dollar’ book, MMF has also published a series of free ‘Digital Dollar’ guides to help managers navigate and understand the music business in the digital age. 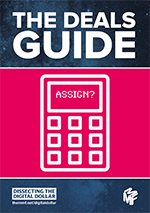 You can download these guides here. ‘The Deals Guide’ explains the workings, legalities and pros and cons of the various different kinds of label and distribution deals available to artists today. It sets out the ten main deal types now on offer and explains how artists and their managers must balance the investment and services they receive from a label or distributor with how future income will be shared out. ‘The Transparency Guide’ identifies the 20 pieces of data and information that artists and managers require from their business partners to fully understand and succeed in the streaming business, including usage data, royalty data and deal information. This forms the MMF’s Transparency Index, which helps managers assess how transparent the labels and distributors they and their artists work with really are. ‘The Fan Data Guide’ looks at all the fan data being gathered online, by the streaming platforms, but also all the other digital channels employed by artists and their business partners. It runs through the ten key kinds of fan data and where it is all being gathered, and then explains how an artist’s contracts and data protection law will both impact on who has the rights to access and use that information.